My sister-in-law, Jaena, gave me this recipe and although I typically go for the sweet breakfast dishes, I loved this SaVoRy one. If you love Hot Ham & Cheese Sandwiches, you have to try this breakfast version! 1.) Preheat oven to 350 degrees. Spray a 9×13 pan with cooking spray. 2.) 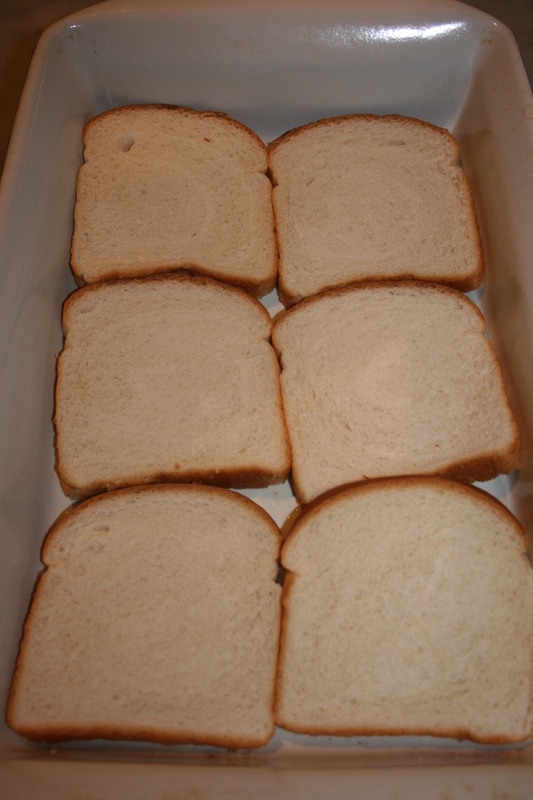 Place six slices of bread on the bottom of the pan. 3.) 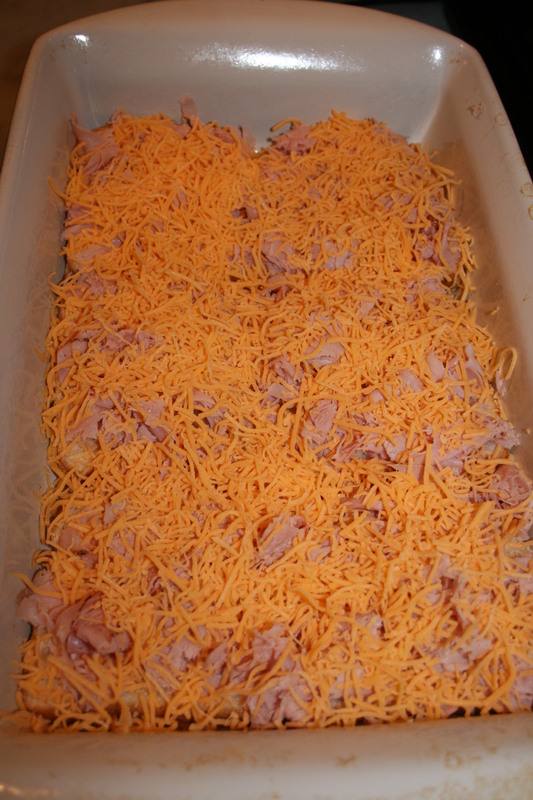 Layer bread with sliced ham. 4.) Sprinkle with 1/2 of the cheddar cheese. 5.) 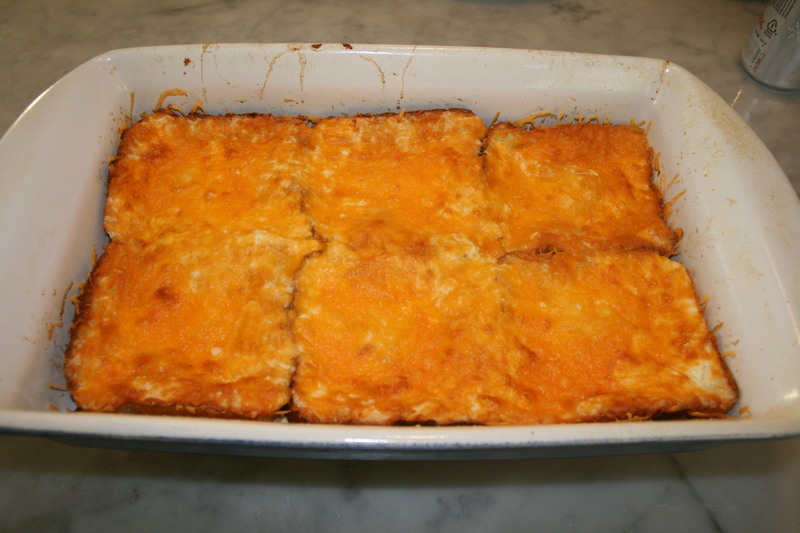 Cover with six more slices of of bread. 6.) In a small bowl cream the softened cream cheese, add eggs that have been whisked, milk & dried mustard. Pour over top layer of bread. 7.) 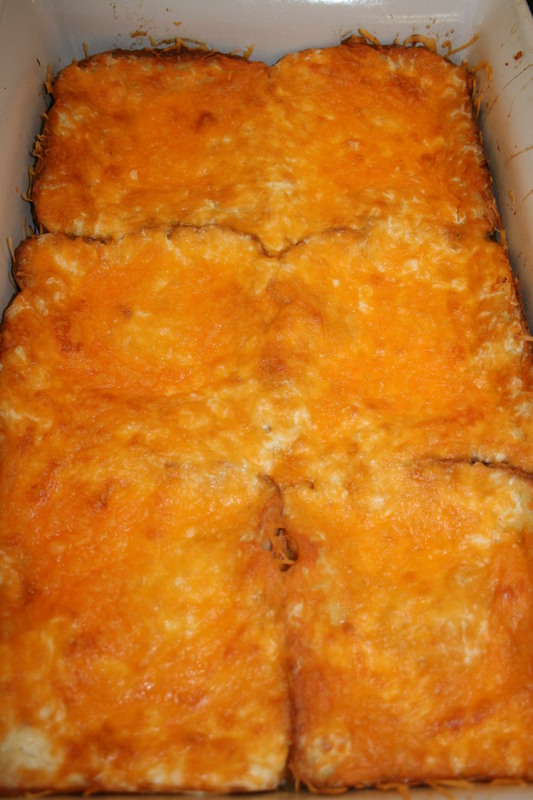 Sprinkle remaining cheddar cheese over the egg mixture. 8.) Bake for 45 minutes. Slice each sandwich diagonally two times, so each sandwich has 4 triangles. Enjoy! !